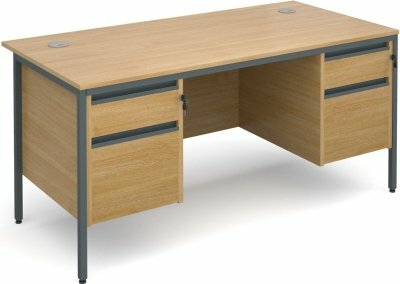 18mm top straight desk available in two wood finishes. Graphite H frame steel leg, 18mm top with two cable port holes. 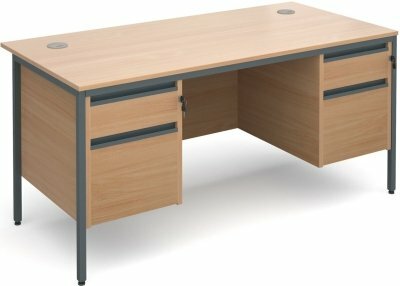 Comes with two x two drawer lockable fixed pedestals each with one file drawer and one shallow drawer.